It wasn’t really a castle but the top of a church tower in the town of Picton. 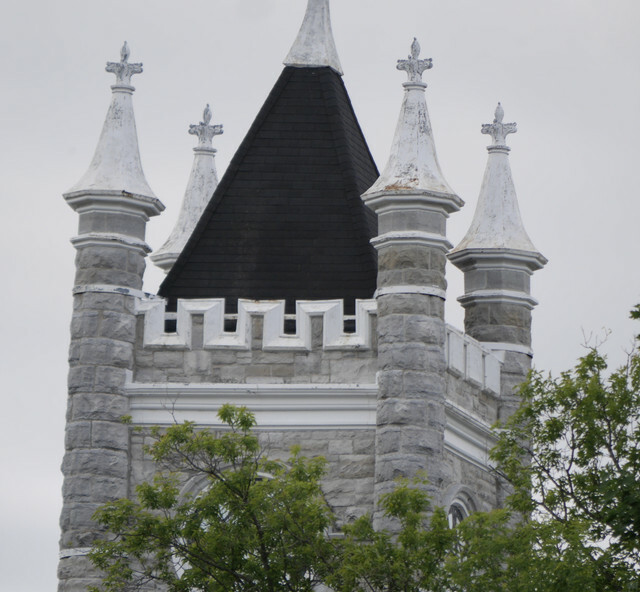 This entry was posted in Architecture, Celebrations, daily photo challenge, Interesting Places, Photography, Travelling and tagged Becky B, June 22, June Squares, photography, Picton, Roofs, United Church of Canada by Mama Cormier. Bookmark the permalink. Looks like it is out of a Disney park rather than a church tower! I guess that’s what attracted me to it.